Insomniacs: Are We Dreaming About Sleeplessness? Rapid eye movement sleep (REM sleep) is when most dreams occur. Episodes of REM sleep also help defuse negative emotions and improve the learning of motor skills. 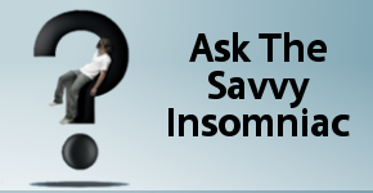 Until recently, insomnia wasn’t thought to be a problem of REM sleep. 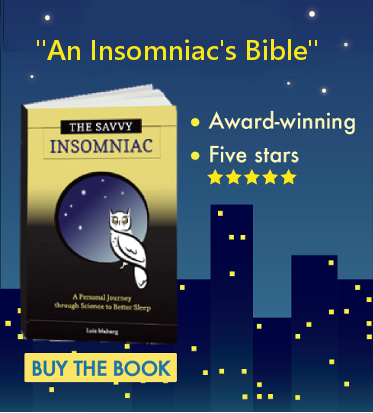 Insomnia, the thinking went, was caused mainly by phenomena occurring—or failing to occur—during quiet, or non-REM, sleep: insufficient deep sleep, for example, or wake-like activity occurring in other stages of non-REM sleep, resulting in insufficient or poor sleep. In the past few years, though, REM sleep has become a suspect in the quest to identify what causes people to wake up frequently in the middle of the night and too early in the morning. (This type of insomnia is called sleep maintenance insomnia). Here’s more about this intriguing proposition. But in the past few years, REM sleep has become a suspect in the quest to identify what causes people to wake up frequently in the middle of the night and too early in the morning. (This type of insomnia is called sleep maintenance insomnia). Here’s more about this intriguing proposition. Do Insomniacs Really Underestimate Sleep Time? It’s said that insomniacs tend to underestimate the amount of sleep they get. Polysomnography (PSG), the test conducted in the sleep lab, often shows that insomnia sufferers are sleeping more than they think. Investigators now agree that PSG, as conducted and scored in standard fashion, is too crude a measure to capture what’s going on in disturbed sleep. Finer measures are needed. One such measure involves counting the number of arousals and micro-arousals—brief awakenings—during sleep. Experienced more micro-arousals during both non-REM and REM sleep, but the number of micro-arousals during REM sleep was more pronounced: about 2 to 3 times larger than the number experienced by good sleepers. 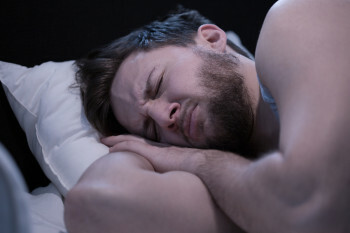 Further, the more REM sleep insomniacs got, the greater was the mismatch between their sleep time as recorded by PSG and the sleep time reported by the insomniacs themselves. These results suggest that (1) it may be disturbances that occur during REM sleep, more so than during non-REM sleep, that account for the discrepancy between PSG-measured sleep and insomniacs’ perception of their sleep, and (2) disturbed REM sleep may be the main problem for people with sleep maintenance insomnia. Not much brain activity occurs during non-REM sleep. But REM sleep is marked by a mix of arousal in some parts of the brain and quiescence in other parts. The same group of scientists in a 2012 paper describe REM sleep as “a highly aroused ‘paradoxical’ sleep state requiring a delicate balance of arousing and de-arousing brain activity.” This brain activity involves many different groups of neurons. The over- or underexpression of any of these groups might disturb that “delicate balance,” causing fragmented REM sleep. This idea fits in with the dominant explanation for chronic insomnia: it’s a manifestation of hyperarousal, which may come about in part due to stress. Stressful life experiences often cause sleep loss. If the poor sleep continues, then sleeplessness and worry about the daytime consequences themselves become stressors and insomnia becomes a chronic affair. The chronic stress accompanying chronic insomnia also leads to changes in the brain. These changes could cause REM sleep fragmentation and disrupted or poor sleep. Health problems also appeared more frequently in insomniacs’ dreams. People with chronic insomnia are prone to worry about sleep loss and its consequences, and these concerns might well dominate the content of our dreams. And if we’re experiencing lots of micro-arousals as we’re dreaming, the content of those dreams would be more accessible to conscious recall. Instead of actually lying awake for hours at night, sleep maintenance insomniacs might be awakening briefly but often to dreams of sleeplessness, making it feel like we’re sleeping less than we are. Precisely how REM sleep becomes fragmented remains to be seen. But the finding that REM sleep is significantly unstable in sleep maintenance insomniacs is a step in the right direction. Does the idea of REM sleep instability as a driver of sleep maintenance insomnia seem plausible to you?